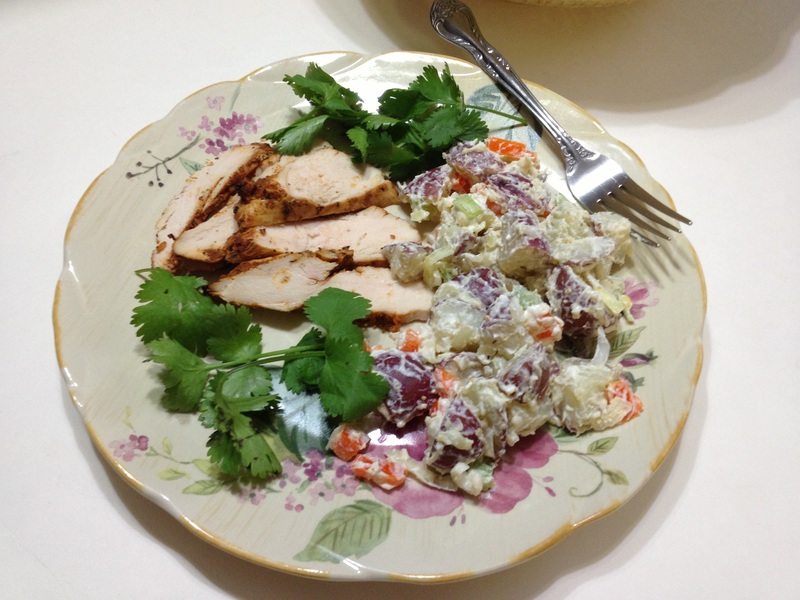 A potato salad, though it is named, is generally a side dish as it accompanies the main course. The dish comes in many variations, and is found in different parts of the world, such as, Bulgaria, Czech Republic and Slovakia, Holland, Italy, Germany, Romania, Syria, France, and the United States. The potato salad is often served along side barbecued food, roasts, hot dogs, fried chicken, hamburgers and cold sandwiches. No matter how the potato salad is made, it is considered a casual fare dish, as it is part of the menu at picnics, potlucks and other casual meals and events. It is even found in delicatessens and food bars. It is easily made in large quantities, therefore popular among restaurant cooks and chefs, as it can be prepared in advance and refrigerated until needed, and requires ingredients that are inexpensive. It is written that Arnold Shircliffe, executive chef of Chicago’s legendary Edgewater Beach Hotel, traced the origin of the potato salad to the 16th century. John Gerrard in 1597 writes about potatoes and their virtues (Homework Hero by ChaCha). Here at Splendid Recipes and More this is the version of potato salad you will find: Red Potato and Sweet Pepper Salad. Mix together and measure out 2 tsp. and mix with 1 tsp. orange zest, finely grated. Prepare potatoes and place into a steamer basket above boiling for 8 to 10 minutes or just until tender. Remove from steamer basket and place into a large mixing bowl. 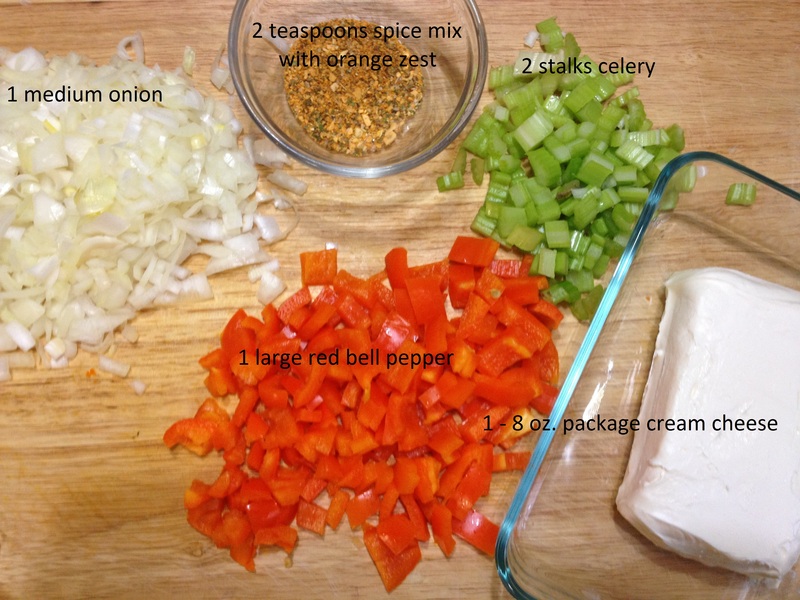 Mix spices with soft cream cheese in a small bowl until well incorporated. 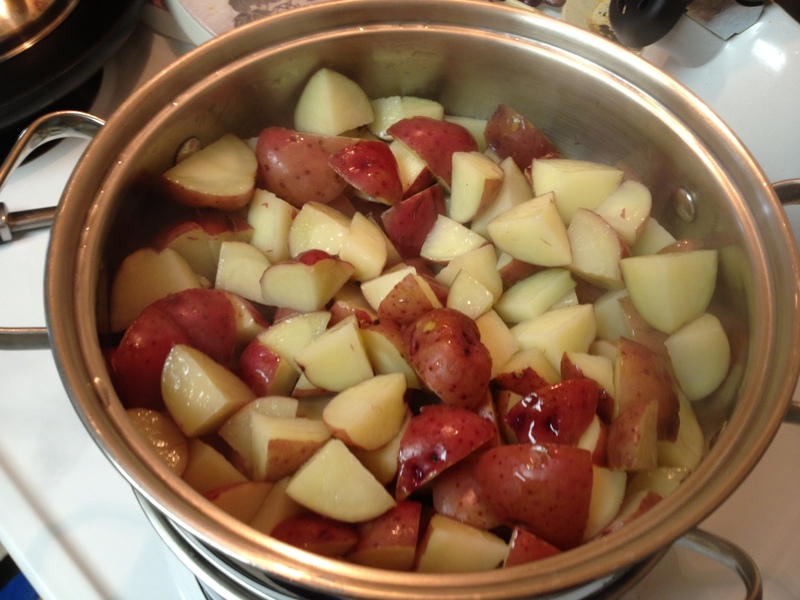 Place diced and cut vegetables into the large mixing bowl with the red potatoes, mix together until will incorporated. Next add the cream cheese/spice mixture to the potato mixture. Stir and mix in well. Plate and serve with your favorite meal. 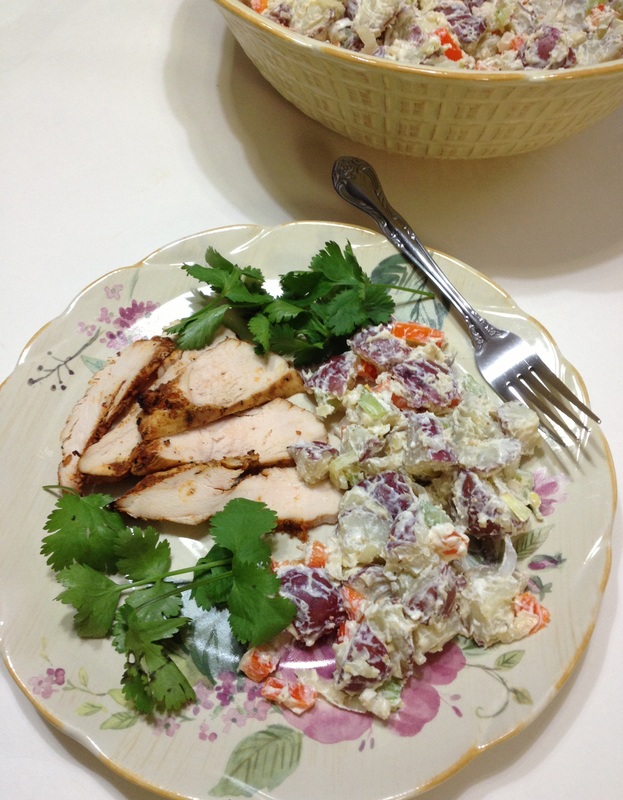 Guest Post: Four Uncommon Healthy Recipes for Your Diet! WWW. Liver, Meat and Potato Pies and Blackberry Pudding. This entry was posted in Side Dish and tagged ChaCha, Chicago, Czech Republic, Edgewater Beach Hotel, Potato, Potato salad, Salad, United States. Bookmark the permalink. Lovely salad and I never thought of using cream cheese in a potato salad. Very clever. Thanks Jovina. Mayo is original, but most store bought has soybean or canola oil in it, which is omega-6 and in turn causes inflammation. Thanks for comment and for stopping by. This looks just like a perfect salad for a BBQ now in the summer! Good one! I am glad you like it Luis. Hope you can prepare this salad. Thanks for your thoughts and for stopping by. It was a pleasant surprise! !